including pre-habilitation for planned surgery to shorten recovery time. Along the way we’ll help you develop a better understanding of your own body, and ways to improve functionality for life. Active Isolated Stretching (AIS) — one of our most effective therapy techniques. 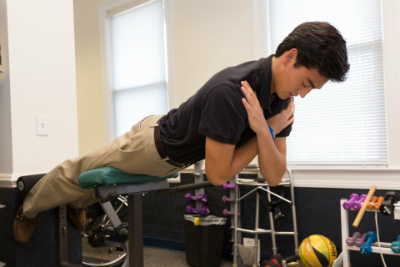 AIS involves targeting specific muscles with short, assisted stretches. Muscles are stretched through their range of motion in a repeat pattern. We will support and guide you through the process. Learn more about Active Isolated Stretching at DaoCloud. 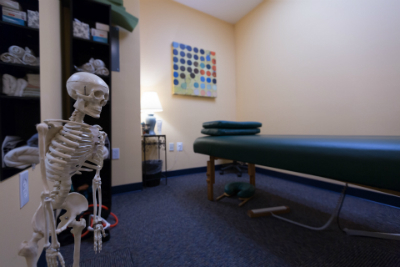 Osteopathic manipulative treatment — the hallmark of osteopathic medicine, which emphasizes hands-on care by the physician to diagnose, treat, and prevent illness and injury. Somatic re-education — a mind-body approach that targets the way the brain senses and organizes muscles and movement. This technique can help develop renewed control of muscles as well as improved muscle function and enhanced sensory awareness. Neuromuscular massage therapy — focuses massage on one specific area of the body. Pressure is applied to trigger points or tender points for up to 30 seconds. This method eases tension throughout the muscle. Personal training — we offer personal training either as part of your treatment plan, or as a separate program. Our training is customized based on your age, gender, body type, and fitness level. Nutritional consultation — when appropriate, Dr. Haggquist will include suggestions on nutrition and supplements to support your treatment goals. Manual lymph drainage — a gentle massage that encourages the circulation of lymph throughout the body. Rhythmic circular movements are used with a specific amount of pressure to stimulate lymph flow, boosting immunity and helping to detoxify the body. Trager® relaxation — Trager uses soft, gentle touch to guide the body to greater balance. This encourages deep relaxation, increased mobility, and mental clarity. Trager can help reduce stress and calm the autonomic nervous system. Sports massage — focusing on the areas of the body used in a specific sport can benefit the athlete by enhancing performance and reducing recovery time. Pressure is applied to muscles to increase oxygen and blood flow, encouraging the elimination of toxins from the body. Areas of particular soreness receive focused pressure. A weekly sports massage can be a great addition to your workout! Dry needling — not the same as acupuncture! Dry needling improves pain control and reduces muscle tension, supporting a quicker return to active rehabilitation. Some people leave the office mentioning a bit of pain after needling; however many are ecstatic with relief. Learn more about Dry Needling at DaoCloud.